Can you believe that summer seasonals are already hitting shelves? We don’t know about you, but we feel like we were just finishing off the last of our supply of winter warmers when BAM – hello sunshine and hello even more delicious Texas craft beer. Bring it on! Today we’re warming you up to the upcoming wave of summer releases with a profile of Saint Arnold Brewing Co.’s Summer Pils – a tried and true bohemian-style pilsner that first debuted in June of 1997. Summer Pils was actually Saint Arnold’s first lager. While its recipe is one of their most simple, it’s also proven to be one of the hardest to create, going through over 20 test brews before its inaugural roll out. The key to its deliciousness is just the right German pils malt: Durst pils, which has a great nutty flavor that gives this delicate beer a highly complex flavor. Also important to the fantastic taste of this beer was combining the hops in just the right fashion to bring the spicy finishing flavor of the beer’s Czech Saaz to the correct balance. While most of Saint Arnold’s recipes have not changed since introduced, Summer Pils is an exception. The brewers adjusted the original recipe nearly every year until 2003, when they settled on a three year plan to reach a final recipe in 2006. It was in that year that they hit the jackpot with the perfect recipe: light and refreshing with a crisp, clean bitterness. Love Summer Pils’ funky cool tie-die packaging as much as we do? Legend has it that folks at Saint Arnold actually had a customer who started tie-dying Saint Arnold t-shirts for himself shortly after the brewery opened. They liked the look and asked if they could pay him to make some for them. His response? “Sure, dude.” The tie-dyed shirts proved to be popular and out of this came many other tie-dye themes, including the packaging for Summer Pils. The exact tie-dye on the label was scanned from a t-shirt that co-founder Kevin Bartol bought at the Kerville Folk Festival many years ago. Have you picked up your Summer Pils yet? 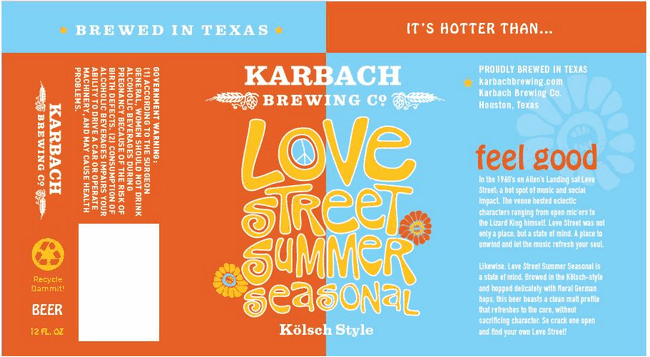 This beloved beer has the longest season of any Saint Arnold seasonals, a testament to the fact that no matter how hot it gets, us Texans love our summers. We hope you look forward to enjoying it in the months to come! 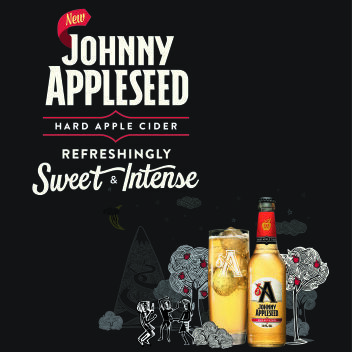 This Thursday marks the Third Thursday of April, Pint Jockeys, and you know what that means – it’s tasting time! The April 18 Pint Jockeys craft beer tastings will take place from 5-7 p.m. at Del Papa’s distribution centers in Victoria, Texas City and Beaumont. All three tasting events will feature the below lineup of spring and summer seasonals, plus a few classics. All tastings are free and open to adults ages 21 and older. 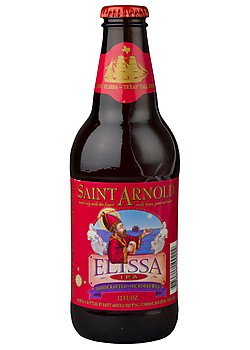 •Saint Arnold Divine Reserve 13 – The newest in Saint Arnold’s Divine Reserve series, 13 is a Belgian Quadrupel. The aroma is distinctly Belgian with a hint of fruit, while its simple malt bill allows the caramel and chocolate malts to come through. Large amounts of Belgian Extra Dark Candi Syrup darken the color and impart dark, fruit-like flavors. Its aftertaste is slightly sweet and dry. • Sixpoint Sweet Action – Part pale ale, part wheat, part cream ale, Sweet Action is a simple representation of what makes beer great: the marriage of barley and hops. The barley malt will coat your tongue like honey while the hops brush your palate clean with every sip. • Southern Star Bombshell Blonde – The American blonde ale has a rich, creamy golden color with flavors of yeasty bread coupled with a touch of hops. Now available in 16 oz. cans, this fan favorite is fermented at a cool temperature to give it a clean finish. • Rahr and Sons Bucking Bock – This award-winning beer is a traditional German Spring Bock, golden in color and mildly hopped. It has a smooth malty character at 7.5% ABV. • Saint Arnold Summer Pils – Summer Pils is a true bohemian-style pilsner brewed with fine German malt and a copious quantity of noble hops imported from the Czech Republic. Its delicate, sweet malt taste is complemented by an abundant hop aroma and flavor. The bonus beer in Beaumont is Goose Island’s Pepe Nero. 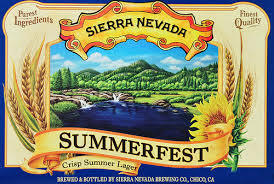 Texas City tasting-goers will enjoy New Belgium’s Dig, and the Victoria tasting will feature Samuel Adams’ Summer Ale. It’s Tasting Time! Celebrate the First Days of Summer with the Pint Jockeys! 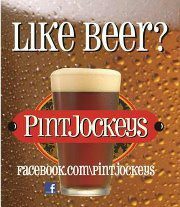 Today marks the official first day of summer, Pint Jockeys! And while we’ve been experiencing the brutal Texas summer heat since May, we’ll look for any reason to celebrate, and the official first day of summer is reason enough for us. In honor of such a festive occasion, we’re here to tell you about our June tasting events, taking place in Victoria, Texas City and Beaumont tomorrow, Thursday, June 21. As always, the tasting events are free and open to anyone 21 and older and will take place in each distribution center’s hospitality room from 5-7 p.m. The tastings in Victoria and Texas City will feature a great lineup from brewers located in top travel destinations in the U.S. and abroad, including Costa Rica, Portland and Hawaii, just in time to plan your summer vacation. Kona Longboard Island Lager – Travel to Hawaii with Kona’s Longboard Island Lager, a smooth refreshing lager fermented and aged for five weeks at cold temperatures to yield its exceptionally smooth flavor. A delicate, slightly spicy hop aroma complements the malty body of this beer. Kona Wailua Wheat – The plunging cascade of clear water of Hawaii’s Wailua Falls is the inspiration for the Limited Release Wailua Wheat Ale. This golden, sun colored ale has a bright, citrus flavor that comes from the tropical passion fruit brewed into each batch. Sit back, relax and enjoy paradise anytime. Redhook Longhammer IPA – Sample an IPA from Seattle. The generous addition of hops both during and at the end of the fermentation process (dry-hopping) gives the Redhook Longhammer its characteristic bitterness and piney citrus aroma and flavor. The medium body, crisp finish, and moderate alcohol and IBU levels makes this one of America’s most drinkable and best-selling IPAs. Redhook Wit – Redhook’s twist on the Belgian style is the addition of fresh ginger, which adds a refreshing snappiness to this lighter-bodied wheat beer. Redhook Wit is perfect for warm summer months of outdoor BBQ-ing, sitting by the pool, or just enjoying a rainy day inside watching old re-runs of Gilligan’s Island. Widmer Citra Blonde – Citra hops lend their name to this Portland interpretation of a golden ale. But that’s not all they bring to the party. Their striking citrus aroma and thirst-quenching flavor are the perfect pairing for soft malt notes. Together they create a beer that’s full in flavor and uniquely refreshing. Magic Hat #9 – Not quite a pale ale, this elixir is impossible to describe and is a brew “cloaked in secrecy.” The mysterious ale is dry, crisp and fruity, and there is nothing quite like it. Cascade and Apollo hops with pale, crystal malts make the unique brew quite magical. Pint Jockeys’ June Beer of the Month, Imperial combines a balance of malt, grains and hops to create an extremely refreshing beer. Heading to the beach just got a little easier; this Costa Rican brew can now be enjoyed in 12oz cans, so it’s also welcome in locations where our bottled favorites can’t go. More interested in a staycation? Our Beaumont event will feature some of our Saint Arnolds favorites, including: Saint Arnold Summer Pils, Saint Arnold Fancy Lawnmower, Saint Arnold Weedwacker, Saint Arnold Santo, Saint Arnold Amber Ale, Saint Arnold Elissa and the Saint Arnold Endeavor. Plus, Saint Arnold’s beer aficionado Lennie Ambrose will make a special appearance to sample selections, answer questions and talk brew with our fellow Pint Jockeys. Check out our official Facebook event for the full details and and RSVP while you’re there! After you leave your tasting, be sure to come back here and let us know which beer was your favorite. Who’s ready for another good ole drinking holiday? It’s time for Cinco de Mayo! Last week we shared a recipe for a main course, and today, we’re helping round out the menu with two delicious appetizers – one sweet and one salty. Add a little spice with the Carne Asada tacos and you have the perfect combination. In a large bowl, thoroughly mix kiwis, Golden Delicious apples, raspberries, strawberries, white sugar, brown sugar and fruit preserves. Cover and chill in the refrigerator at least 15 minutes. Coat one side of each flour tortilla with butter flavored cooking spray. Cut into wedges and arrange in a single layer on a large baking sheet. Sprinkle wedges with desired amount of cinnamon sugar. Spray again with cooking spray. If you’re looking for a quick cheat, pick up a bag of Central Market’s All Natural Sweet Potato Cinnamon Agave Tortilla Chips, available at Central Market and HEB. They’re delicious! Now, on to something salty… no Cinco de Mayo Party would be complete with the guacamole, so we’re offering up a pretty popular version, also courtesy of allrecipes.com. As the easiest part of the meal, you can throw this together 10 minutes before your guests begin to arrive. In a medium bowl, mash together the avocados, lime juice, and salt. Mix in onion, cilantro, tomatoes, and garlic. Stir in cayenne pepper. Refrigerate 1 hour for best flavor, or serve immediately. Now that you’re covered on the food, let’s talk drinks. In addition to the mandatory margarita, consider offering a few different craft beers to the mix. 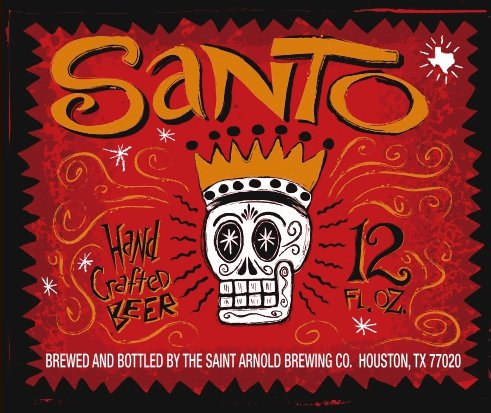 We already mentioned Saint Arnold Summer Pils, but an even better option is Santo, which was crafted to pair well with Tex-Mex. Want something a little lighter? Landshark Lager is another great option, especially for those celebrating beachside. That should be enough to get you started. We trust you can take the rest from here. Have other suggestions? Feel free to share below. Happy Cinco de Mayo! Have fun and be safe! Get ready for Cinco de Mayo! As many of you already know, Cinco de Mayo falls on a Saturday this year. Next Saturday to be exact. Which means it’s the perfect opportunity to throw an afternoon fiesta. With so many awesome Mexican recipes to share, we’re dedicating the next two Foodie Fridays to the occasion. This week, we’ll kick things off with the main course- spicy, Carne Asada tacos courtesy of the Food Network’s Tyler Florence. This recipe is a bit more involved, so we wanted to give you ample time to round up your ingredients and prepare. While you won’t need any beer to make this dish, it sure will come in handy when it comes to cooling off your taste buds in between delicious bites. While Mexican beers are often the go-to, don’t forget about some of your favorite summer seasonal selections. In fact, Saint Arnold Brewing Company recommends serving one of their ice-cold Summer Pils alongside fiery Mexican dishes. In a mortar and pestle or bowl, mash together the garlic, jalapeno, cilantro, salt, and pepper to make a paste. Put the paste in a glass jar or plastic container. Add the lime juice, orange juice, vinegar, and oil. Shake it up really well to combine. Use as a marinade for chicken or beef or as a table condiment. Lay the flank steak in a large baking dish and pour the mojo over it. Wrap tightly in plastic wrap and refrigerate for 1 hour or up to 8 hours, so the flavors can sink into the meat. Don’t marinate the steak for more than 8 hours though, or the fibers break down too much and the meat gets mushy. Preheat an outdoor grill or a ridged grill pan over medium-high flame (you can also use a broiler). Brush the grates with a little oil to prevent the meat from sticking. Pull the steak out of the mojo marinade and season the steak on both sides with salt and pepper. Grill (or broil) the steak for 7 to 10 minutes per side, turning once, until medium-rare. Remove the steak to a cutting board and let it rest for 5 minutes to allow the juices to settle. Thinly slice the steak across the grain on a diagonal. Warm the tortillas for 30 seconds on each side in a dry skillet or on the grill, until toasty and pliable. To make the tacos, stack up 2 of the warm tortillas, lay about 4 ounces of beef down the center, and sprinkle with some lettuce, onion, and cheese. Top each taco with a spoonful of the Pico de Gallo salsa and garnish with lime wedges. Repeat with the remaining tortillas. In a mixing bowl, combine all of the pico de gallo ingredients together. Toss thoroughly. Let it sit for 15 minutes hour to allow the flavors to marry. There you have it. A perfect main course. Want something to hold your guests over while they wait? Check back next week for a festive appetizer and snack!